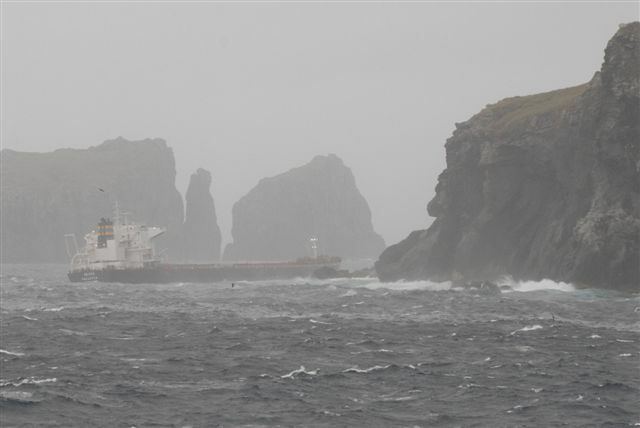 The 330 ton fishing vessel Kyotoku Maru No. 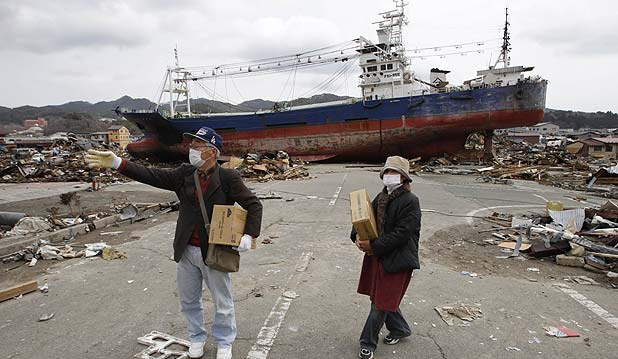 18 was in Kesennuma harbour when the tsunami struck. 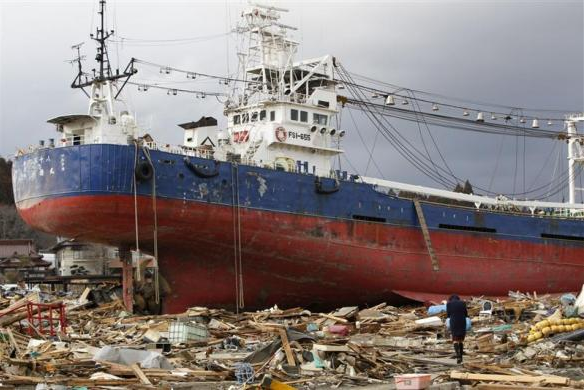 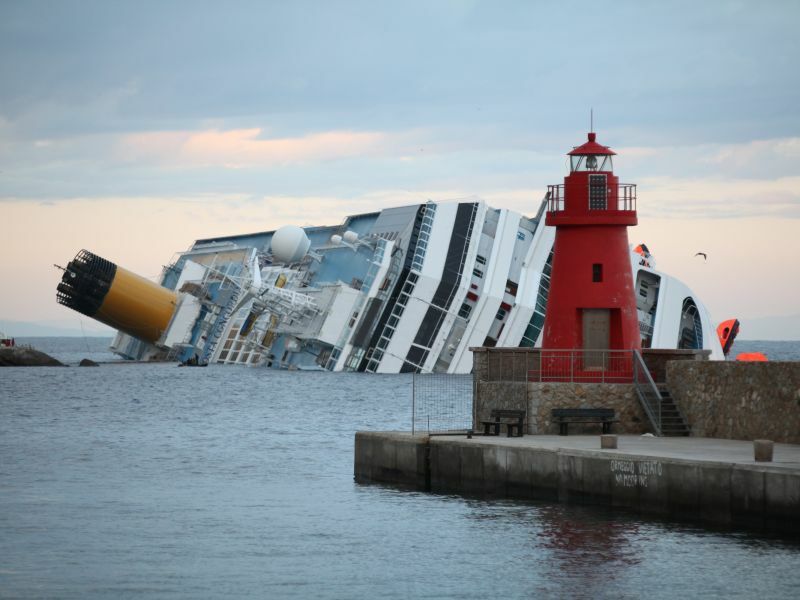 The vessel now rests on a major road in the center of Kesennuma, Japan.